Yes, I know I’m stretching the definition of war movies big time including Marc Forster‘s latest film. World War Z is an apocalyptic zombie movie with a very strong military element. It’s based on Max Brooks’ eponymous novel. The movie begins with an idyllic family scene. Former UN investigator Gerry Lane (Brad Pitt), his wife (Mireille Enos) and two daughters are getting ready for the day. A little later, on their way into town, they see their world turn into chaos. Cars crash into other cars, people scream and run while others turn into savage predators. Gerry and his family narrowly escape this mayhem and hide in a huge building until a UN helicopter comes and gets them out. They are flown to an aircraft carrier where they hear more about what’s happening. It seems as if there was a pandemic that rapidly infects all the inhabitants of every country and turns them into zombies. The illness broke out in Korea and the military want to send a scientist to investigate. Gerry is sent with him as he was the best UN investigator they had. As was to be expected they can’t find anything in Korea and the next stop is Jerusalem. From Israel we follow Gerry and a female Israeli soldier (Daniella Kertesz) on their trip around the world and see how the pandemic spreads. On this frantic trip Gerry observes that some people are avoided by the zombies. If he can find out why, maybe he could find a cure? I hated the beginning of this movie big time and almost stopped watching after ten minutes. After the initial family scene it starts with full action and, as strange as this may seem, I found that very boring. Luckily the movie slows down a bit and moves on at a steady pace, which is broken up by more intense scenes. The end is not bad at all. I’ve seen a few zombie movies and I couldn’t help comparing this to I Am Legend for example. I love I Am Legend, it’s my favourite zombie movie and comparing World War Z to that, was to the latter’s disadvantage. I also like the zombie comedy Shaun of the Dead a lot. Looking back I think that World War Z isn’t even a zombie movie. It’s a disaster movie with a zombie theme. It’s far more like the Day After Tomorrow or Independence Day. 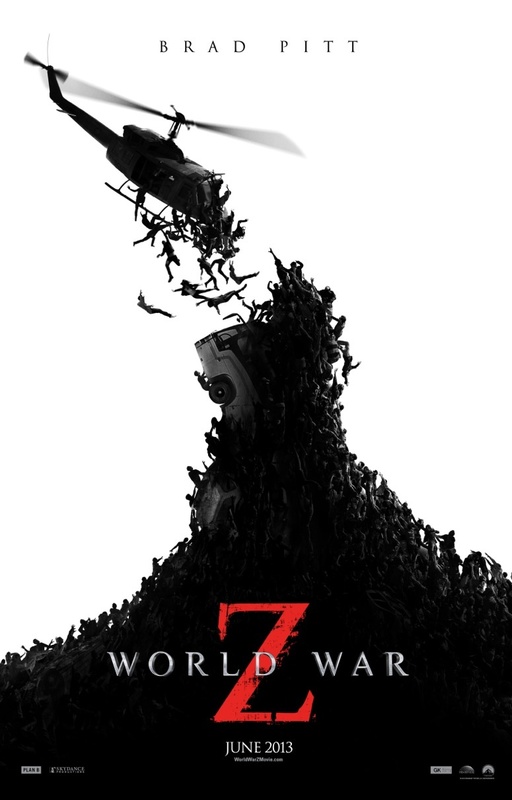 The biggest flaw of World War Z is that I didn’t think it was unique. I felt I’d seen each and every element before in another context. Some in horror movies like The Crazies, others in action films, or movies in which the US or the world are at large are threatened by some sort of evil or aliens. Unfortunately I don’t like Brad Pitt all that much, which didn’t help. Most of the time when an apocalyptic or post-apocalyptic movie starts with an idyllic family scene I know I’m not going to watch anything superior. I was proven right in this case once more. It had good moments and if you want to see a fast-paced action flick, by all means, watch it, but if you’d like to see something a bit unusual, maybe even controversial, then stay away. I’m still waiting for a movie which will look into the appeal of the zombie. Why is there such a wave of books and movies since a couple of years? Do you have a favourite zombie movie? I always end up watching movies in which Mads Mikkelsen is starring. So far I have never been disappointed. So far. Clash of the Titans has a weird cast but I think it says more about the cast than about the movie. 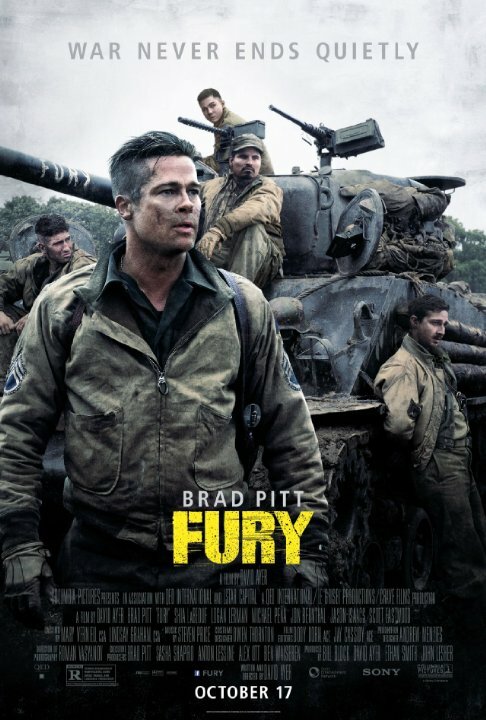 While it’s a guilty pleasure with a war theme it’s not exactly a good movie with the exception of a few scenes. Despite all that, it’s fun. I liked the giant scorpions. They are really cool. Now briefly to the cast before I summarize the whole film. Liam Neeson. There was once a time when he made good movies but recently he’s a major disappointment and since he is even in Battleship I start to have a feeling that whenever his name is on the cast list this could very well mean “avoid”. Ralph Fiennes. Yes, Ralph Fiennes. What the heck is he doing in this movie? Neeson and Fiennes both play powerful gods, while Fiennes plays the role of the bad guy – Hades, Neeson plays the role of the good one – Zeus. Both sport odd haircuts and halos that make them look like drag queen putti. Apart from these two the other actors mostly do a decent job – or at least one that makes the movie watchable. I haven’t given up hope on Mikkelsen – he is even good in this one – but I’d advise him not to accept too many roles like this. Perseus (Sam Worthington), a demi-god, son of Zeus is dragged into a battle between the Gods and the mortals. Hades, God of the underworld and master of the Kraken, demands the sacrifice of Princess Andromeda, the daughter of King Cepheus of Argos who won against the gods. If Andromeda isn’t sacrificed, Hades will unleash the Kraken. King Cepheus asks Perseus, the only human capable of fighting against gods due to his half-god nature, to find a way to defeat the Kraken. Perseus accepts because Hades has killed his step family and he wants revenge. The only way to win against the Kraken is by defeating the Medusa and cutting off her head. Many people have been offended by the liberties the movie took with Greek mythology. I didn’t expect it to render the myth of Perseus and the Medusa, I thought it would be an action movie with a Greek mythology flavour. And that’s exactly what it is. Nothing more and nothing less. If you look for two hours of entertainment and haven’t seen the first one, try it. It’s quite fun. Did I mention the scorpions? I really liked them.